King Gilgamesh, in the cradle of civilization (3500 B.C), wrestles with the fact that he is two-thirds god and one-third man. The gods have granted him Herculean power and wit but withheld his wish for immortality. Gilgamesh will do anything to bring the Heavens to the Underworld. The gods intercede with a great man-beast challenger from the forest to quell the raging king. This sweeping epic of visceral violence and power also pits the Great King Gilgamesh against The Bull of Heaven and Humbaba, the Protector of The Cedar Forest. Gilgamesh is the goring wild bull, in all of us, seeking control or relevance at the expense of others or even ourselves. What he learns of life, love and happiness is relevant to all of us. Most importantly, his story is one of the first recorded in human history...and reminds us that our forefathers may have seen life with a greater clarity than our own. This treatment, for the first time, imagines the classic Gilgamesh story for a modern day audience. 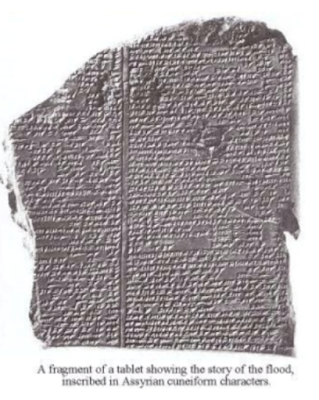 Researched and crafted by R. Glen Setchfield, the basis of this book was a number of short English translations of the original cuneiform tablets. Exhaustive anthropological research surrounding the pieces of cuneiform stone tablets were also the basis for this story. In the end, this adaptation faithfully expands upon the original folk tale’s themes. Characters, scenes, action and dialogue have all been added to round out the author’s interest in communicating the themes still relevant to a modern day audience fascinated with youth, immortality, control and interpersonal/social relevance. 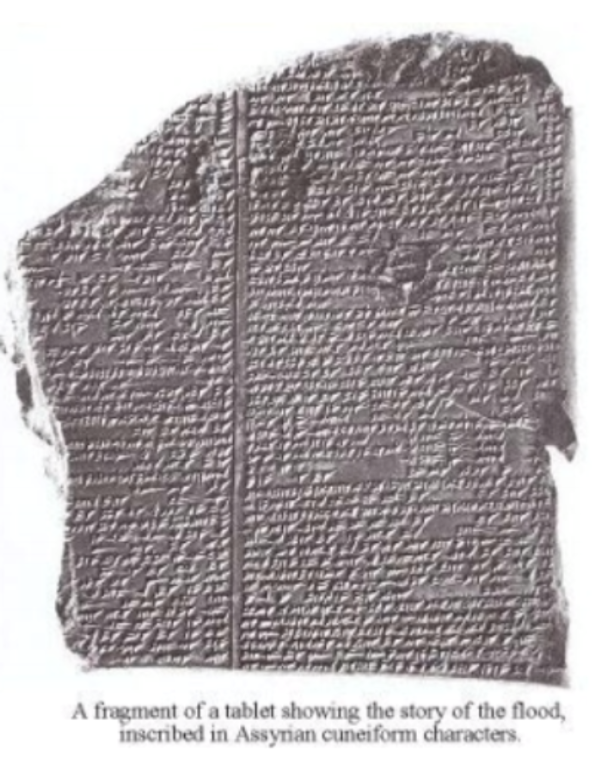 A fragment of the tablet that contained the story. 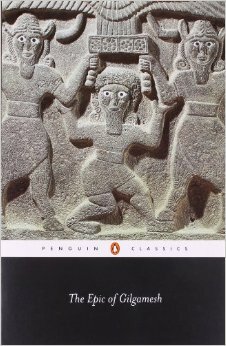 While reading The Literature Book, I learned The Epic of Gilgamesh is the oldest recorded story of all time. That prompted me to find a free online copy to read. Being a bookworm, I had to read the oldest story and see what it was like. It was like reading a story from the bible. Though the characters, at least some of them, you knew were far from real. A scorpion man guarding the gates, for example, is quite far-fetched. So this character would have been among the first fantasy characters created. The story itself was a passage of time for one man, Gilgamesh. It took you through his life, and though I read it, I still do not understand the importance. Maybe I'm not supposed to, or maybe I missed something, but it really was just a life story written in old terms and I believe it to be just for entertainment. Take the time to check it out for yourself and tell me what you think. **No compensation was received for posting. Compensation will be earned if purchases are made from the links within. This copy was read free online. Opinions are owned by Freda's Voice. I hadn't even heard of this, it sounds like it was readable, even if old!